As a small business, there are many reasons why it’s worth your while getting acquainted with social media. In fact, used well, social media can be absolutely transformational in getting your brand known or your product sold. Increasingly consumers expect businesses to have a social media presence; a recent survey by the Internet Advertising Bureau found that 80% of consumers would be more likely to buy more often because of a brand’s presence on social media. Nonetheless, 42% of small businesses still do not use social media. Many entrepreneurs feel daunted by how “much” social media there is out there and simply don’t know where to get started. So if you find yourself in that position, seeing the social media ship sailing fast out of the harbour whilst you’re standing on the quayside, then what can you do to make some progress? The key is not to try doing everything straight away. Take your time, feel your way and work out what works for you and your business. Invest a little time every day getting yourself familiar with the different social media outlets and then decide which combination will work best for you. Try to focus on one or two networks first and then roll it out if you feel those choices are appropriate and working for you. Initially you need to work out your social media strategy – basically, why and how you want to use it and whom you want to reach. People use social media for different reasons – to connect, to build relationships, to share information, to learn, to teach, to entertain, to be inspired, to gain recognition, to buy, to sell, to be involved in a debate etc. So, identify what you and your business can contribute to this community and to this vast arena of motivations and stimuli. For example – do you want your business, or indeed you, to be seen as thought leader? Is your company an innovator in its field so you want to showcase its work? Is it fun? Is it unique? Can you inspire others visually? Can you share your expertise to attract new recruits and build your reputation? At its most basic, can you offer free stuff or special deals to your customers? 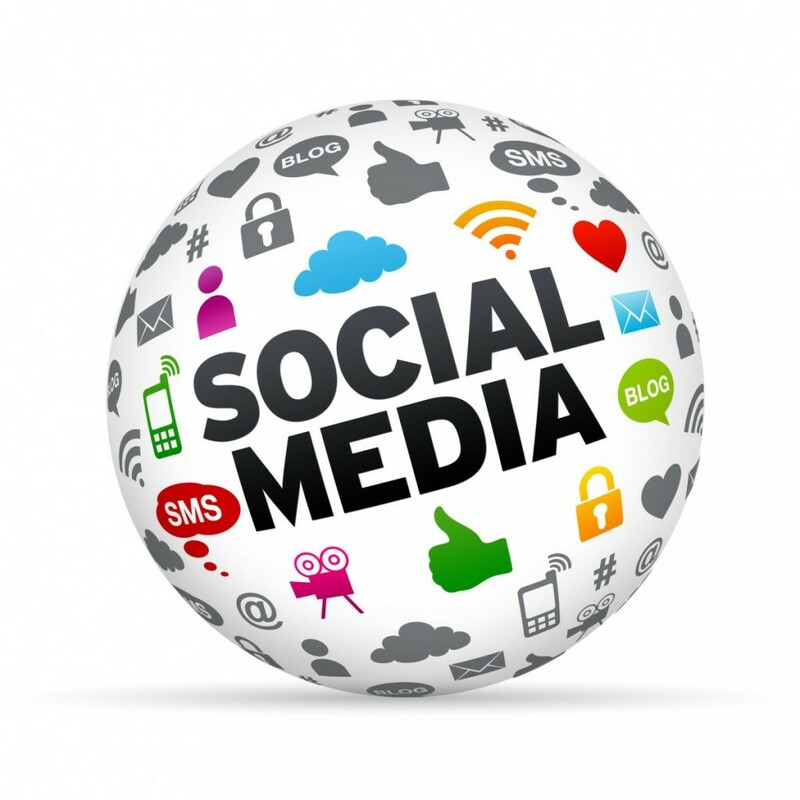 You may find different social sites provide different services for you as you grow in confidence on social media. You might make your professional connections through LinkedIn, whilst contributing to a debate and building your brand through micro-blogging on Twitter. You may develop your visual identity through beautiful imagery on Instagram. Or you may add to thought leadership and the professional development of your followers by sharing expertise on Slideshare. Content is key – you need to make yourself worthy of following. Social media involves an investment of time. It’s about developing a conversation over the long term with your followers – not just transmitting information at them. It’s a far more subtle and interactive way of building relationships with your customers, suppliers, industry contacts, prospects and possible future employees – almost as though your business has its own personality – but it’s all the more rewarding for that. Always be polite and respectful in your interactions. Social media can be a minefield for ill-judged, hasty responses being retweeted or shared, causing untold reputational damage. So always, always play it safe. There are considerable upsides but also considerable downsides to social media if used unwisely. Once you get a bit more comfortable with the different sites, it’s useful to install a software package to manage them. This means you can automate a lot of the basic functions and post to more than one site at a time. Also you can collate your different feeds “under one roof” making them easier to digest. Hootsuite is my personal favourite as the added training packages they include for free are invaluable to keep you ahead of the game. Finally, you need to work out what’s paying off and what isn’t. Evaluation, as ever, is vital, otherwise why bother? If your presence is quite small and your business quite localised then it can be pretty easy to identify what’s working – you can see direct connections and interactions and identify how they’re developing and paying off. But once you get a bigger or more complex presence, it’s worth investing in some of the analytical tools you can install to monitor your social media presence. These include again Hootsuite, Brandwatch, Buffer, Simply Measured, Google Analytics, Facebook Insights, Twitter Analytics, Klout….the list goes on and on and many of them are free for their basic services. There’s a bit of trial and error involved in finding one that works for you and evaluates your particular mix of social media presence but it’s worth the effort for the data you gain as a result. So why not dip your toe into the water before that social media ship sails right away, to revisit my dreadful metaphor? It’s a great feeling when people begin to like your posts and to follow you and your business – and it’s an even better one when those relationships convert into pounds, shillings and pence.